GVRPC, Inc. provides Development Services on a fee basis to Communities, Organizations, Private Companies and Individuals. A wide variety of development related services are available. GVRPC, Inc. brings a proven development team to the table, ensuring a fully developed project, regardless of the project's scope. The following company profile illustrates some of the services provided by the Corporation. Genesee Valley Rural Preservation Council, Inc. is a fully independent, not-for-profit corporation, established to carry out housing development, management, and related services. The core area of project activity, during the initial years of business, has been in Livingston and Wyoming Counties. In 1995, activities were expanded to Genesee County. Currently, GVRPC, Inc. is actively working in several Western New York counties. The Corporation is not an agency or office of state or local government, but is organized for social welfare purposes. GVRPC, Inc. structure and policy are set by a five-member Board of Directors. Jill Alcorn is the President of the Board of Directors and CEO of the Corporation. A staff of twelve (12) full time and eleven (13) part-time employees operates all activity of the Corporation. Since its inception, GVRPC, Inc. has generated nearly seventy-one (71) million dollars in housing investment and services in the area served. GVRPC, Inc. is involved in single family home financing and production, as well as multi-family and other independent rental housing development and management. The company has successfully secured funding from diverse New York State financing sources, including NYS Housing Trust Fund Corporation, NYS HHAP, and NYS Affordable Housing Corporation. GVRPC, Inc. also regularly utilizes federal financing through USDA Rural Development, HUD, the Low Income Housing Tax Credit Program and the Federal Home Loan Bank. GVRPC, Inc. has developed (or co-developed) three hundred forty eight (348) rental units since 1987. This total encompasses eighteen sites in four counties. GVRPC, Inc. properties include both independent living apartments for the elderly and disabled, as well as small rental properties for low-income families. GVRPC, Inc. has also provided housing and related services to rural homeless families since 1987, housing over 300 tenants in 20 homeless housing units. GVRPC, Inc. is recognized for the creation and management of particularly high quality elderly/disabled housing in the region, having developed eleven complexes for this population. All GVRPC, Inc. rental units are managed in-house. Management staff is certified and professionally trained in all areas of resident assistance and property management, including Tax Credit compliance, Fair Housing Law and ADA compliance. GVRPC, Inc. management staff participates in various task forces to ensure residents' access to area services as necessary. Housing services such as mortgage counseling and packaging are also provided to eligible families. In addition, GVRPC, Inc. is involved in the preservation of existing housing through rehab and home improvement, both as a developer and a program sponsor for owner occupied homes. Over 1250 families have been assisted in buying, building or improving single family homes over the past several years. Single-family housing initiatives are in place in Livingston, Wyoming, and Genesee Counties. 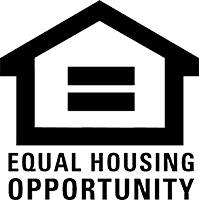 GVRPC, Inc. has been instrumental in getting area banks actively involved in affordable housing lending and serves in an advocate/advisor capacity for Community Reinvestment Act ventures throughout the region. The organization is active in community development and rural revitalization in several communities. In 1991, a subsidiary, stock corporation was formed by GVRPC, Inc. to undertake related for-profit development ventures. LETCHWORTH DEVELOPMENT CORP. provides development, construction and related management services. The officers and staff of both GVRPC, Inc. and Letchworth Development Corp. are active in local, state, and national organizations that promote housing and community development. Memberships are held in the NYS Rural Housing Coalition, the NYS Rural Rental Housing Association, NYS Rural Advocates and the National Center for Housing Management.